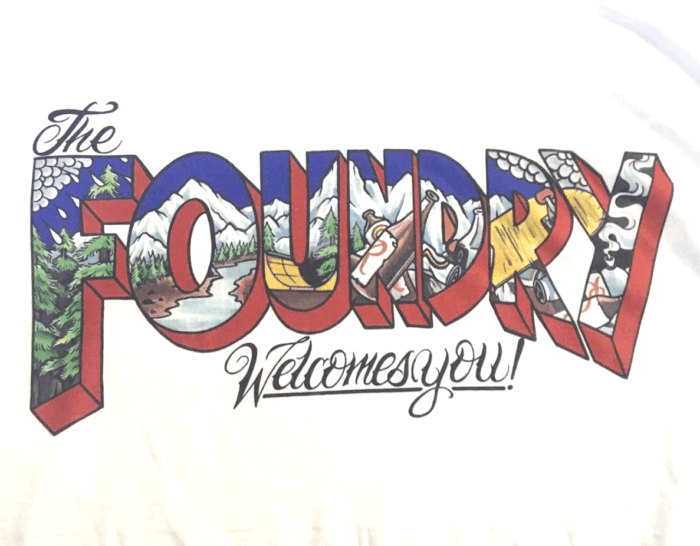 The Foundry Print and Embroidery shop of Seattle was founded on the belief that building relationships with our customers hinges on our ability to provide the best quality products in the Northwest. We try to bring real value to customers’ businesses, personal projects, or promotional programs. 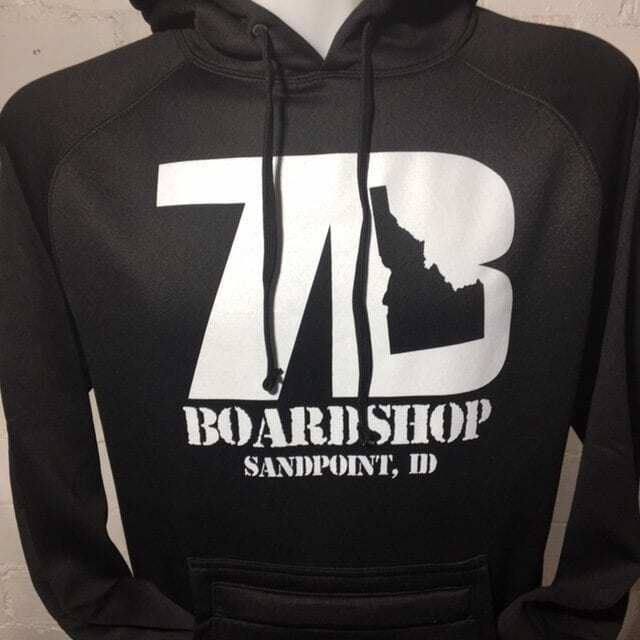 We understand the importance of these relationships and are passionate about bringing you the best personalized screen-printing services possible. Our Seattle-based team is dedicated to becoming familiar with our customers’ profession and goals so that we can materialize exactly what you envision in your mind. Our custom screen-printing begins with the art and the garment. Choosing what type of material to print your art on is essential in determining the overall printability of the clothing. For example, many of the features that make modern fabrics so comfortable and high-quality can also make them difficult or nearly impossible to successfully use for printing. So, deciding on the fabric material is a critical first step to producing excellent custom screen-printing products. Our experience in silkscreen printing ensures success throughout the production process, because we get it right during the setup stage. The next step in our screen-printing services involves what we call separations, which ‘separate’ the art into its positives and negatives. There are a number of ways this can be done, depending on the complexity of the art. Generally, the more complex the image is, the more separations that are required. We then use those separations and place them in individual framed screens, which become the stencil that the ink will pass through onto the garment. Next, we align those stencils on the press and begin test printing—determining optimal squeegee pressure, pre-cure temperatures, print speeds and final touches. 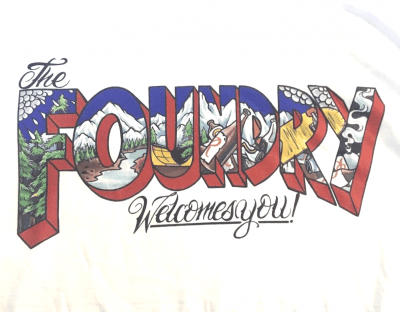 If you’re after durable and detailed silkscreen printing, let The Foundry Print and Embroidery Shop help you get the job done right. We look forward to transforming your design into a beautiful masterpiece! Learn about some of the more common screen printing systems and methods. Much like a dye process water-based and water-based discharge are water born systems where the print ink is absorbed into the fabric. 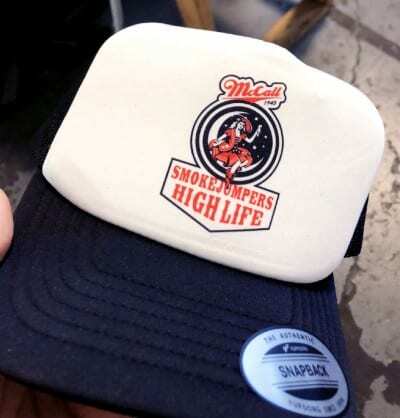 This creates a softer, longer lasting and more environmentally friendly screen printing process. Although there are some poly blended fabrics that are compatible with water-based printing it’s recommended that only 100% cotton garments be used with this process. In some situations brighter fabric colors such as purple, royal and kelly green are not compatible with light on dark printing because they do not fully discharge. A PVC or acrylic and liquid plasticizer ink system plastisol creates a durable surface film on the fabric. Although not as soft as water-based printing plastisol is far more versatile and when used intelligently can create a variety of desired effects. 4 color process, simulated process and metallic are all based on the plastisol ink system. We take care to minimize our footprint on the environment by using phthalates and PVC free inks when possible. A plastisol additive that allows inks to adhere to waterproof nylon materials such as jackets and bags. Keep in mind that the temperatures needed to cure plastisol can often exceed the heat exposure recommended for treated synthetic materials, this results in having to flash cure some prints that use nylabond. With semi-transparent plastisol inks four color process uses halftones of CMYK to create a photo-realistic print process. As a subtractive color system CMYK must be printed over a white substrate. Although white garments are ideal colored garments are compatible with this system when a white baseplate is printed under the graphic silhouette. Substrate (printing), the base material that images will be printed onto. Much like 4 color process simulated process uses halftones to represent varied shades of a print color. However unlike 4 color process it uses solid opaque inks making it more compatible with darker garment colors. 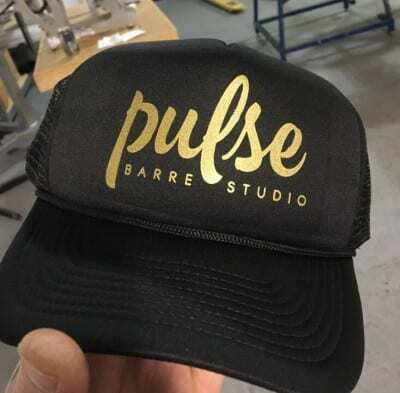 Available in an array of colors metallics are plastisol based inks with reflective particles that create a chrome or gold like finish. Because these inks generally have a high viscosity a low mesh screen is required to print them making for a thicker ink deposit. A plastisol ink that uses phosphorus to store surrounding light and then illuminates it in the dark. This ink is generally transparent and can be overprinted on other print colors. It glows a light green. Fabrics that contain high amounts of synthetic fibers releases their dye when heated causing dye migration between the garment and the screen printing ink. Specially formulated poly inks are required to preserve the intended print color. 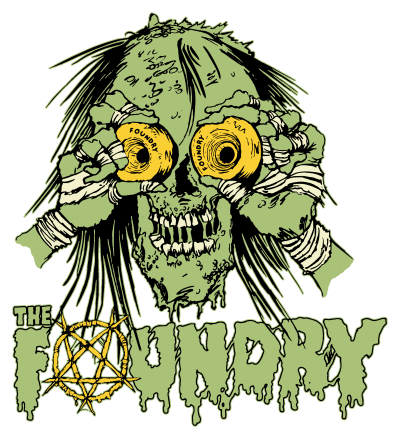 We believe that know how is what sets The Foundry Print Shop apart. Evolving with current technology while maintaining a handmade feel, finding solutions to difficult and new situations. Stoked customers and creative products with purpose. Different fabrics require different print processes. Cotton is ideal for screen printing because it deforms less than synthetic fibers such as polyester, nylon and acrylic when exposed to the heat needed to cure screen printing inks. It is also the only fabric type that is fully compatible with water-based discharge printing. Blend fabrics consist of cotton and other synthetic fibers such as polyester, acrylic or nylon. It is recommended that only plastisol screen printing systems be used on poly blend fabrics because the synthetic fibers use colorfast dyes that will not discharge. Some blends are more discharge compatible than others but testing should always be done before production. Plastisol is the only screen printing ink system compatible with nylon and other waterproof fabrics. Nylabond additive is used to bond the plastisol to the nylon for a more durable and washable print. Because the melting temperature of nylon is close to the the curing point of plastisol ink some nylon prints must be manually flash cured, however our natural gas textile dryer is effective in most situations. Garments that have 100% synthetic content are often referred to as performance fabrics because of their ability to wick moisture and dry quickly. Due to their hydrophobic nature only plastisol inks should be used to screen print these fabrics. The high amount of synthetic fibers and colorfast dyes require specially formulated inks to prevent dye migration from the garment to the screen printing ink. With so many fabrics on the market we customize every job to the garment being printed. If customers choose to provide their own garments we strongly suggest they consult with our staff before purchasing them.